Anyone for financiers? Oops, none are left! Financiers are another classic French petit four, that I can eat until I pop, so I need to share, before none are left. This is why I err on not making them! In fact I am experimenting on making them LCHF friendly. Once I’ve created a perfect one, I will share with you all, since this would make me blissful! They are best baked fresh on the day, with any fresh fruit/berries that you prefer. Financiers are great for afternoon tea time treats or for a coffee spoil. The base mixture can be kept in the fridge for at least a week, which makes it a great mixture to have on hand for any emergency tea-baking. Make the clarified butter aka ‘noisette’, you melt the butter in a saucepan, cooking it, until the butter has a nutty smell and color. Take off the stove and allow to cool. Combine all the rest of the ingredients and mix with processor or hand blender, until a smooth paste. Once the butter has cooled, add the noisette butter. Allow the mixture to cool completely. Then pipe (use a round nose nozzle or cut a hole in a disposable piping bag), into the moulds. Moulds are filled 2/3’s. 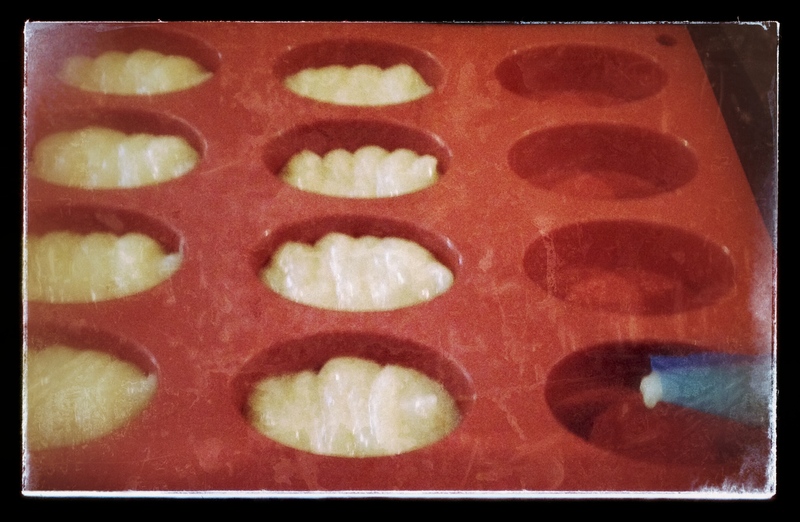 Place a small fruit piece (or preserve or jam) in the middle of each piped mould. Bake on a tray, at 180 degrees celsius for about 10-15minutes. Basically, until golden. Allow to cool for 5 minutes, before turning out. Don’t let it cool completely, otherwise the petit four will collect to much moisture and won’t come out easily. 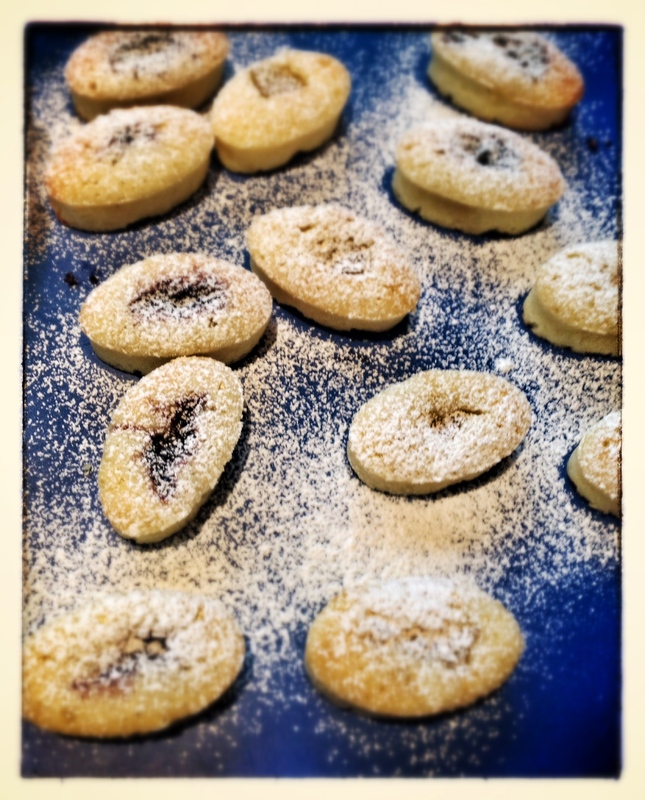 This entry was posted in Baking as easy as 1..2..3 and tagged afternoon tea treats, almond flour, berries, clarified butter, financiers, ground almonds, mini-cakes, miniature cakes, noisette butter, petit four by angelb38. Bookmark the permalink.